With more and more restaurants springing up across the Philippines’ summer capital, deciding where to eat in Baguio can be quite a challenge. Visitors who thrive on delicious food and exciting dining experiences will surely have many reasons to love the city. So, whether you’re a casual food lover or a serious foodie, we’re giving you a glimpse of some of the best Baguio restaurants you must try. Love Greek food? There’s no need to fly to Greece to satisfy your cravings. Just head to Baguio and try Lemon and Olives. Charming and quaint with Mykonos-inspired blue doors and chalky white walls, this Baguio restaurant turned into a Greek Tavern is definitely one of the best restaurants in Baguio you must try. The restaurant is well-known for serving delicious authentic Greek food prepared by their in-house chef who came all the way from Greece. Greek food doesn’t get any Greeker than that. They say that the best way to enjoy the city is to get a taste of its local foods. So, where to eat in Baguio if you want authentic local cuisine? The Farmer’s Daughter Restaurant is your best bet. It’s one of the only few restaurants in Baguio that serve pure Cordilleran dishes. Two of the restaurant’s best specialties are the smoked chicken and beef broth locally known as Dinakdakan. The Farmer’s Daughter Restaurant, however, is a bit far away from the city center. On the upside, the foodie experience is definitely worth the trip. Craving for some Italian pizza while vacationing in Baguio? Then you should check out the Amare La Cucina. As you enter the restaurant, the first thing that greets you is its wood-fired oven where mouthwatering Neapolitan pizzas are being cooked. Instead of the usual pizza flavors, this pizzeria is known for its unique creations which include delectable choices such as the Lamb and Foie Gras pizzas. Who doesn’t love some refreshing craft with their meal? If you do, Baguio Craft Brewery is exactly where you want to be in Baguio. If you don’t, what’s wrong with you? 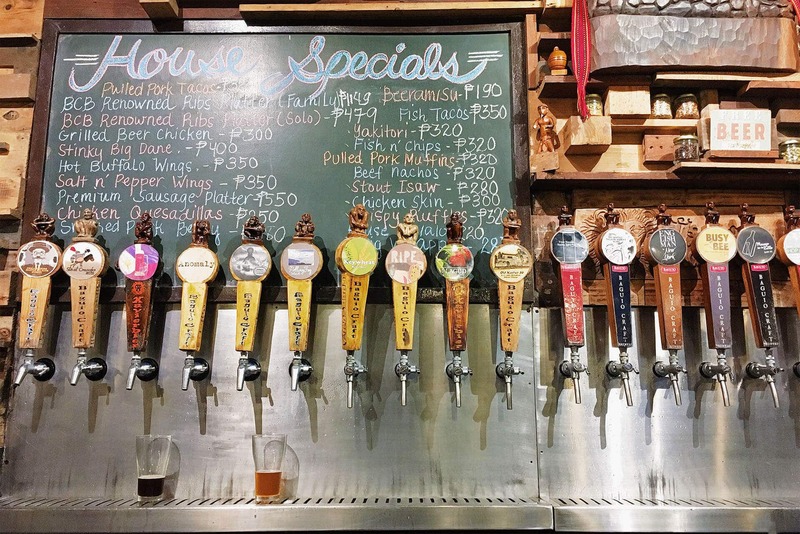 Not just a restaurant but also a microbrewery, Baguio Craft Brewery is easily set apart from the other Baguio restaurants because it serves delicious craft beer. Run by Chris Ordas, who studied craft brewery in Prague and Munich, their craft beer is made from natural ingredients sourced within the Cordillera region. Even better, their beer does not contain any additives and preservatives found in most commercial beers. With more than 50 brews and 21 craft beers on tap, there’s plenty of choices for every type of beer lover. Don’t forget to order one of their mouthwatering meals to go with your beer. Where to eat in Baguio if you want a dining experience that also lets you enjoy a sweeping view of the Benguet Mountains? Look no further than Café Adriana By Hill Station, a lush little restaurant famous for serving scrumptious Spanish cuisines and some Filipino specialties. The restaurant prides itself in using fresh local ingredients sourced from the local farmers of Baguio. If you eat at Café Adriana, you support the farmers too. Paella, mussels & clams marinara and the Fabada asturiana, a Spanish bean stew, are some of the restaurant’s bestselling dishes. 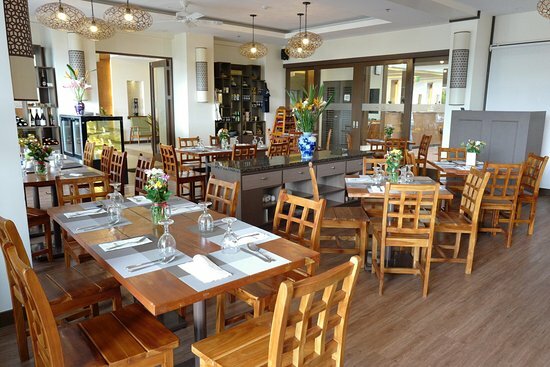 We hope Bookingera’s list has given you an idea of where to eat in Baguio on your next visit. These restaurants are among the top-rated restaurants in the city and are often full of customers especially during peak hours so you may need to make a reservation in advance. If you’re planning a DIY Baguio tour, we’ve also got you covered.